Compression Fittings fit standard taper ground glass joints to hold items such as temperature probes and sampling tubes securely in place. Compression fittings are manufactured from pure PTFE with a PEEK olive to give a secure grip. PTFE Plugs are available to seal compression fittings without removing the fitting. 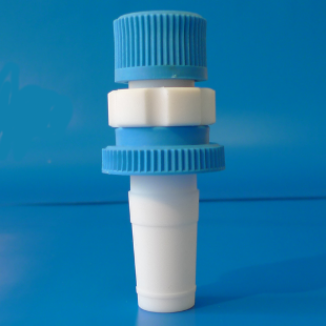 PTFE used in the manufacture of Cowie® PTFE Laboratory Products is pure, virgin material which conforms to FDA and USP Class VI requirements.